The legal maneuvering surrounding a landmark climate change lawsuit has been coming fast and furious the past few weeks. The claims, brought in 2015 by 21 children and young adults against the president and various government agencies, were set to go to trial this Monday, October 29. And while a federal judge has allowed the lawsuit to proceed last week, the Supreme Court may have delayed the progress of the suit this week. U.S. District Judge Ann Aiken ruled that the kids' claims against the government could proceed, but President Donald Trump could not remain a defendant. When originally filed in 2015, the suit named then-President Barack Obama, along with his chosen heads of federal agencies. The legal filings were amended when Trump became president. Aiken admitted the case touched on the separation of powers between the judicial branch and other government agencies, and while those concerns did not require dismissing the entire case, they did justify exclusion of Trump as the sitting U.S. president. Aiken also dismissed government claims that letting the case proceed would be too burdensome and require improper "agency decision-making" by forcing officials to answer questions about climate change. 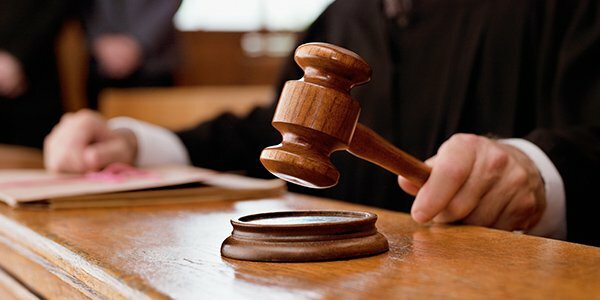 The judge ruled the plaintiffs had offered extensive expert declarations to link their alleged injuries to fossil fuel-induced climate change, and that there was sufficient evidence linking government actions (like coal leasing, oil development, and fossil fuel industry subsidies) led to those injuries as well. Perhaps buoyed by the addition of another conservative justice to the Supreme Court, the federal government appealed that ruling and again petitioned the Court to dismiss the case. The Court had already denied a previous request in August, calling it "premature." This time, however, Chief Justice John Roberts was slightly more receptive, ordering a halt to discovery and trial in the case "pending receipt of a response" from the plaintiffs as it reviews the district court's rulings in the case. When, and if, the case's trial schedule will resume is anyone's guess. "We are six business days from a trial we have been preparing for three years," one of the plaintiffs, 19-year-old New Yorker Vic Barrett said in a statement. "The lengths my own government is going to get this case thrown out and avoid trial is absurd and offensive. This case is not about money. This is not about the 'harms to the government' or how much money the government has paid its experts or how many hours their lawyers have to work. This is about my future and the future of our youngest generations. This is about fundamental constitutional rights of children. We are simply asking for our right to be heard."